Your eye makeup can totally own or totally break your look. Swipe on these cute little velvety eye shadows with a super dependable formula, and watch as the hues dance around to enhance your gorgeousness. Comes in duos of both matte and glitter, to go with any look, subtle or glam. Has finely milled texture which soft and lightweight on eyes. Comes with excellent pigmentation that can brighten up your look instantly and effortlessly. Stays on and on to keep your makeup fresh, even after hours of wear. Additional Information : Bharat & Dorris cosmetics has revolutionized the Indian market with their high quality, trendy range of make-up products.Established in the year 2005, B&D Cosmetics takes pride in being the first make-up and hairstyling artists in India to have endorsed their own brand of cosmetics and skin care products.Through B&D range of cosmetics and skincare products, the brand's aim is to cater to women from every walk of life, offering make-up that can transform everyday appearance of women into something magical and naturally-beautiful. Explore the entire range of Eye Shadow available on Nykaa. 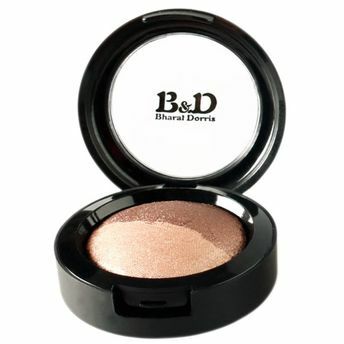 Shop more Bharat & Dorris products here.You can browse through the complete world of Bharat & Dorris Eye Shadow .Alternatively, you can also find many more products from the Bharat & Dorris Twin Dome Eye Shadow range.